IMPORTANT !! Abstract Submissions Deadline: 15th June 2018. 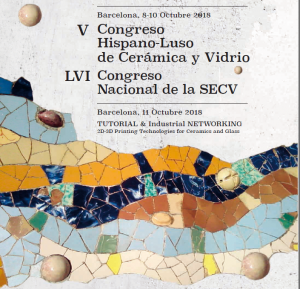 The “V Congreso Hispano-Luso” and “LVI Congreso de la Sociedad Española de Cerámica y Vidrio“, will take place this year in Barcelona (8-10 October, 2018). 11 October, 2018: Tutorial and Industrial Networkig on 2D and 3D printing technologies.